Do you love fresh produce, supporting the local community, and mingling with residents? Then the Historic Roanoke City Market is perfect for you. Most farmers’ markets are only open a single day of the week, but this one is open from 8 a.m. to 5 p.m., seven days a week. Plus, there are special events on Saturdays from May through September. Get the details so you’ll understand why this is such a popular market. Shopping at a grocery store is so impersonal. You don’t know where the food came from, and most of the time, it’s from a place on the other end of the country or the world. The opposite is true at the farmers’ market. You actually get to meet the local growers and purchase food that comes directly from their farms. This food is healthier and more nutritious than the food you’ll find at the grocery store because it’s fresher. Have you noticed that the grocery store only has a limited amount of fresh produce? It’s hard to find unique ingredients for your meals there. However, the market has all kinds of items. You will find things that are rarely, if ever, available in a grocery store. If you want to add some variety to your meals, stop by the market. There is a misconception that shopping at a farmers’ market is more expensive than shopping at a grocery store. People are surprised to find that the items are competitively priced. In fact, many of the prices are lower than you’ll find at a grocery store. Farmers don’t have to pay to ship their products thousands of miles, and they do not have to pay for storage. That means you can get your favorite items for less. That’s a great reason to go to the market. 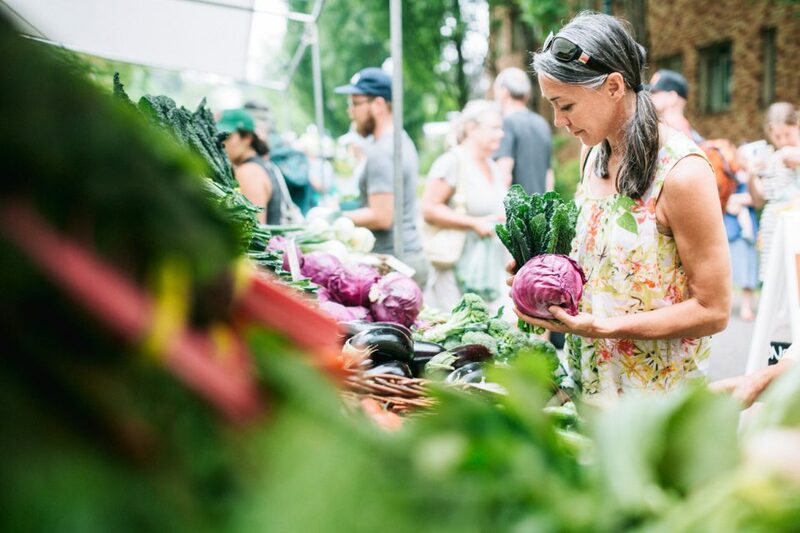 Saturdays from May through September are the best days to go to the market because they are so much fun. You can still get all your favorite produce and talk to farmers, but that’s just part of it. Each Saturday has a new event. There might be music, free crafts, and special tastings on Saturdays. The market hasn’t announced the 2019 schedule yet, but stay tuned. You can expect it to be quite impressive. With so many reasons to go to the Historic Roanoke City Market, you’ll go back over and over again. Are your wheels up to the task? If not, it’s time to get an upgrade at Berglund Automotive in Roanoke, Virginia. Once you get your new car, truck, or SUV, you can make as many trips as you want without worrying about a thing.